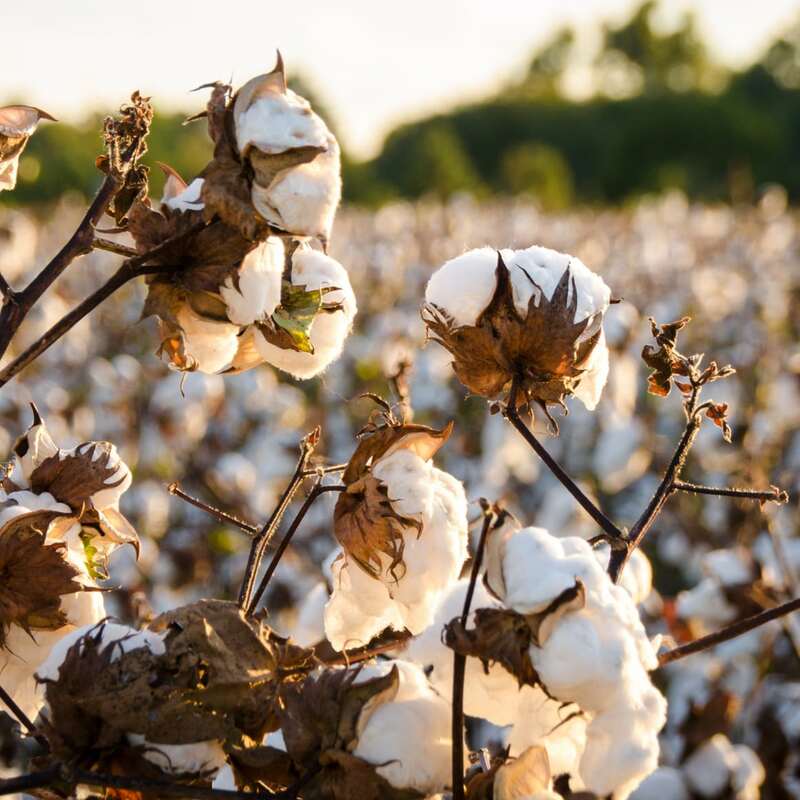 Download a PDF of Cotton Production Calendar, ANR-2361. Variety selection. Research official and on-farm variety trial data. County meetings. 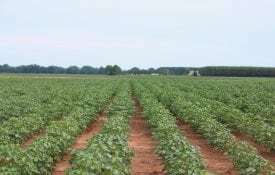 Check alabamacrops.com or the Alabama Crops app for schedules. Burn down cover crops and weeds 2 to 3 weeks before planting. Check herbicide labels for plant-back restrictions. Planting preparations. Field placement of varieties. Check seed and product inventories. Check equipment and spare parts. Application of phosphorus and potassium. Maintain in upper medium range as per a soil test. Preplant nitrogen application. One-third total. Preplant sulfur and zinc applications. Early planting end of April. Scout for thrips. Spray at 1- to 2-leaf stage according to thresholds. In-furrow insect/nematicide applications. Preemergence herbicide applications at planting. Planting. 4-inch soil temperture above 65oF and a 5-day forecast with no cool temperatures. Scouting. Scout for thrips on May plantings. Spray at 1- to 2-leaf stage according to thresholds. In-furrow insect/nematicide applications. Preemergence herbicide applications at planting. Postemergence herbicide applications. Side-dress nitrogen between first square and first bloom, two-thirds total. First boron application. 0.25 lb/A at rst square. Late planting by first week with intensive management and irrigation. Apply PGRs. Earlier plantings. Variety and growth condition dependent. Postemergence herbicide applications. Second B application. 0.25 lb/A before first bloom. Plant growth monitoring. Start at 8- to 10-leaf stage. Scouting. Every 3 to 6 days. Monitor for plant bugs. Spray according to thresholds. Hand-pull escaped pigweed. Tissue and petiole sampling. To prescribe layby and foliar feeding fertilizer applications. Irrigation. 1 in/week at FB (high yield, soil type dependent). Insecticide application. According to thresholds. Fungicide application. Upon initial disease detection before it’s wide spread. 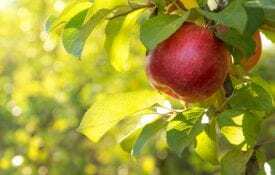 Determine if a fungicide would be effective. Apply 1 to 4 weeks after FB or before canopy closes. Apply PGRs. Later plantings or second application for aggressive growth varieties. Variety and growth condition dependent. Foliar feeding. In K de cient hot spots during peak bloom (4.4 lb/A K20) Irrigation. 1.5 to 2 in/week second to fourth week after FB (high yield, soil type dependent). Scouting. Every 3 to 6 days. Clean up adult plant bugs and control nymphs if at thresholds. Monitor stink bugs, boll worm escapes, occasional pests. Hand-pull escaped pigweed. 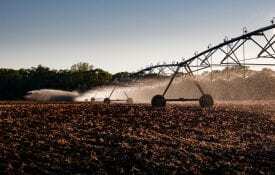 Irrigation. High Yield–1.5 inches in fth to sixth week after FB; 1 inch in seventh week after FB (soil type dependent). Scouting. Every 3 to 6 days, spray according to thresholds. Monitor stink bugs, boll worm escapes, occasional pests. Hand-pull escaped pigweed. Insecticide applications. Clean up adult plant bugs on later planted/ irrigated cotton according to thresholds. Control stink bugs if at threshold. Defoliation/harvest aid application. 3 to 4 NACB. Formulation/rates depend on growth and temperatures. Nematode Sampling. Optimum timing is when root systems are still well established and soil moisture is present. Picking. <12% moisture Ginning. Keep modules/bales dry and monitor temperature. Increase of 20oF or 120oF reached, gin asap. Cover crop selection. Picking. <12% moisture Ginning. Keep modules/bales dry and monitor temperature. Increase of 20oF or 120oF reached, gin asap. Stalk destruction. Soil testing. Fertility and nematode presence. Plant cover crops. Ginning. Keep modules/bales dry and monitor temperature. Increase of 20oF or 120oF reached, gin asap. Variety selection. Research official and on-farm variety trial data. Application of lime. Adjust fields after soil testing to pH of 6.0.